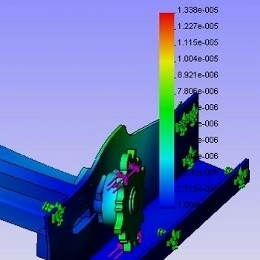 Our consulting services includes mechanical design, control system design as well as software development. Developing the prototype for any machine or system is not just a process of Trial & Error. However, it is much more challenging than that due to a lot of unknown factors. We use our advanced technical skills and sophisticate project management to build the prototype within our customer's schedule, yet with reasonable cost and high quality. We take prototype development seriously and will work collaboratively with our customers from the initial planning stage and process development, right through to project management, validation, certification, documentation, and ongoing operational efficiency improvement for mass production. Do you require higher output from your existing manufacturing system? Do you want to run your system with higher production yield? We will exam your system and study every part to come out the ideas to improve them. Our engineers and specialists are very willing to rebuild, retrofit and upgrade your system. We believe that continued smooth production over many years is not a matter of lucky. That is why we think it is extremely important to properly maintain and inspect our customers' machines. We will carefully plan the maintenance and help our customer to achieve maximum efficiency, reduce downtime and ensure profitability. Our experienced engineers and specialists will involve your staff in ongoing maintenance, share valuable technical information and experience on a regular basis.